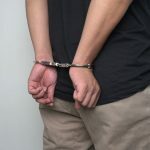 If you have been wrongly arrested or charged with a crime, you (or your lawyer on your behalf) will still almost certainly be required to go to court to ensure that the charges are properly withdrawn. Court costs and legal fees can add up, particularly if you are defending yourself against charges that are unfounded or untrue. In certain cases, you may be able to request that the prosecution pays your legal costs if the charges are withdrawn or unsubstantiated, or if you end up being charged with a completely different offence altogether. 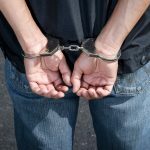 Although unfortunately you won’t be able to claim back the lost time and emotional stress involved in dealing with a wrongful arrest or unfair accusation, recouping some or all of your legal fees can reduce any financial stress that may have resulted from the situation. 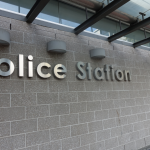 It’s well worth discussing the possibility of seeking costs against police at court when you speak to your criminal lawyer, as this could save you a lot of money. When can you claim costs against the police? It is not always possible to get costs awarded in your favour. The presumption in NSW court is always that costs won’t be awarded against the police unless certain criterion are met. If you want to seek costs, your lawyer will need to make a formal application after the case has been withdrawn or dismissed. There are certain limitations that defendants should be aware of when seeking costs against police. The investigation was conducted in an improper or unreasonable manner. The prosecution failed to investigate a matter that they were aware of or should reasonably have been aware of, and which suggested that proceedings should not be brought against the defendant, or that the defendant might not be guilty of the alleged offence. The proceedings were improperly instigated or brought about in an improper manner. There were other exceptional circumstances in relation to the conduct of the prosecution, which justify awarding the costs in favour of the defendant. The issue of whether or not to award costs against police at court falls under Section 213 and Section 214 of the Criminal Procedure Act when dealing with summary offences, and Section 117 for committal proceedings. What costs can you claim for? Not all costs are included in the legislation, and currently there is no provision to claim costs for bail applications. Defendants can reclaim costs for charges that have been withdrawn, which was previously not the case. Prior to changes in legislation, prosecutors who were facing the likelihood of having to pay costs due to lack of evidence against the accused would withdraw the charges to avoid having to pay, which is now no longer an option for them. If the matter is adjourned due to blameworthy or careless behaviour on the part of the prosecution, a defendant can request that the prosecution be liable for the wasted costs. As a defendant, you are allowed to claim for ‘professional costs’ in addition to court costs. This covers any professional expenses and disbursements, including witness expenses, which relate to the court proceedings. Private legal fees are generally included in these costs. The magistrate involved with the matter is responsible for deciding whether to award costs and how much to award the defendant. It’s a good idea to be prepared if you are planning to seek costs, and bring a list of the costs incurred with you to court. According to the relevant legislation, costs need to be “just and reasonable” and how much you will be awarded will depend on what the magistrate considers to be a reasonable amount under the circumstances. It is therefore a good idea to prepare a “schedule of costs” before you go to court, which lists the court dates and legal work in your case, and the amounts that you paid to your lawyers for that work. the market rate for private legal fees. The application to seek legal costs against the police will normally need to be undertaken at the time of the court hearing, before the court is adjourned or moves on to other cases. Once the matter is fully discharged, it can be difficult to claim costs. However, there are certain situations when a case can be adjourned for the hearing of the cost application to occur. If you think you might be able to claim legal costs against the police, make sure you talk to your criminal lawyer. They will make sure they have arguments prepared beforehand, and a written schedule of all the costs you would like to claim for when you go to court. Successfully claiming for costs to be awarded in your favour can reduce a substantial amount of the financial burden of defending yourself against unreasonable or improperly brought criminal charges, so it is well worth considering. 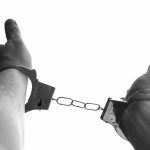 Can You Still Be Convicted if You Have Been Unlawfully Arrested? 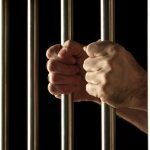 How can I remove my habitual offender declaration?